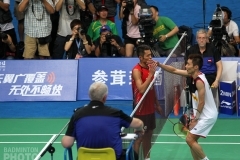 Indonesia’s men kept the gold medals they had worn 2 years ago by beating Malaysia 3-1 in spite of Koo and Tan’s success over Olympic champions Kido and Setiawan. A few hours later, the Malaysian women’s team were avenging their compatriots with a 3–1 win over Indonesia. The absence of Lee Chong Wei was clearly felt in the final of the team event in Vientiane on Sunday. Even though the latter had lost twice to Sony Dwi Kuncoro in World Championships, his current state of form may have still provided his team with a good lead. Instead, Dwi Kuncoro gave the first point to Indonesia in the tie, not without a sweat as Hafiz Hashim (pictured below) fought for his chances and only bowed to the former Asian Champion after three games 20-22, 21-14, 12-21. Koo Kien Keat and Tan Boon Heong then put their team back in the tie with a tight but crucial victory over Markis Kido and Hendra Setiawan in three games. 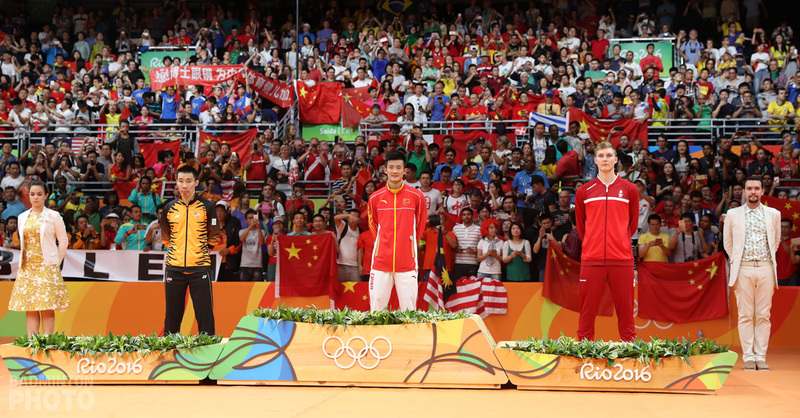 The Olympic champions failed to recover the disappointement of closely losing the second game 20-22 after winning the first one for a final victory 19-21, 22-20, 21-10 by the Yonex French Open winners. Simon Santoso, as expected, delivered the second point for Indonesia, but what was less expected was the line-up provided by Indonesia in the second men’s doubles: a scratch pair of Nova Widianto (photo on top) and Mohamed Ahsan, who usually plays with Bona Septano, Kido’s younger brother. The trick worked and the Indonesians beat Abdul Latif and Fairuzizuan Tazari in straight games, 21-18, 21-17, giving gold to their team-mates. 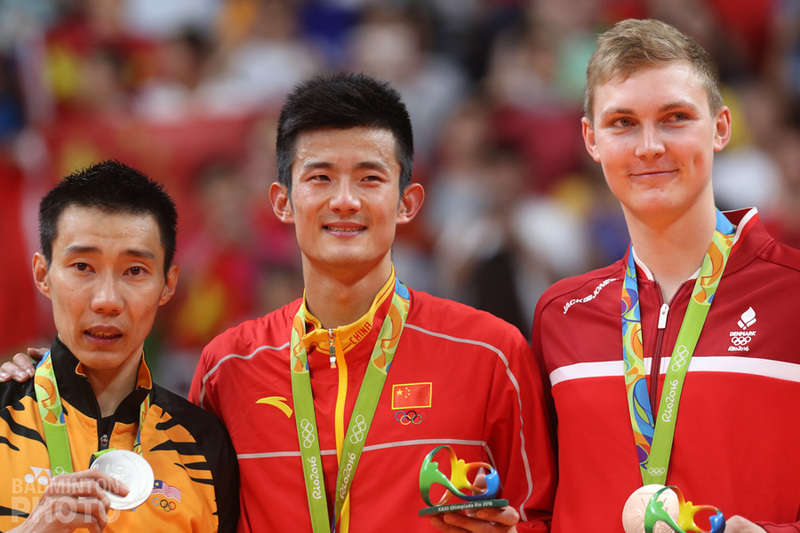 Malaysian rookie Liew Daren – called at the last minute to replace Lee Chong Wei – had to sit on the bench and watch his compatriots lose, with no chance of vying for the winning point against Tommy Sugiarto. Malaysians were to have another shot at gold later in the women’s event, and this time, the Malaysians got it right, preventing a second consecutive Indonesian clean sweep. 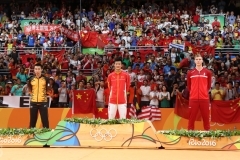 Indonesia did take all 7 medals at the last SEA Games, two years ago. 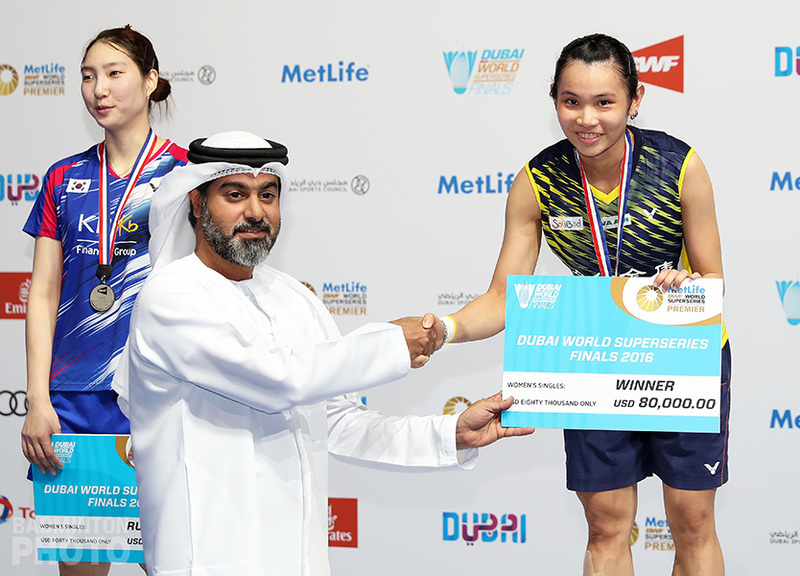 This time, Malaysia will go home with at least one golden medal around their necks, thanks to Wong Mew Choo, who set her team on the right track with a win over Adriyanti Firdasari. Wong Pei Tty and Chin Eei Hui gave Malaysia the second point against Irawati/Jauhari before Maria Kristin Yulianti gave back hopes to Indonesia by giving a lesson to the semi-final hero, Lydia Cheah, stunned 8-21, 9-21 in the final after giving in too much energy against Porntip in the semi-final win over Thailand. 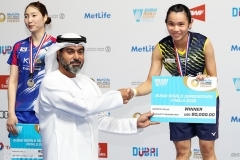 The final point came as a surprise for Malaysia as Woon Khe Wei and Ng Hui Lin (photo) provided their team with the Golden point against much more experienced Liliyana Natsir and Greysia Polii, in a thrilling three-game match. Malaysia ended up with a 3-1 victory over Indonesia to seal the team event before the individual event kicks off in Laos. Amongst some mouthwatering first round matches, Hafiz Hashim and Sony Dwi Kuncoro will play a rematch of today’s duel while Simon Santoso takes on Boonsak Ponsana. Raphael is the Chief Editor of Badzine International. He is the founder of the website together with Jean François Chauveau. After many years writing for the BWF and many publications around the world about badminton, he now leads a team of young and dynamic writers for Badzine.